Over the past decade Queensland Museum scientists and collaborators (including the CReefs project and the Great Barrier Reef Seabed Biodiversity project) from around the world explored the GBR searching for, cataloguing and describing new species. 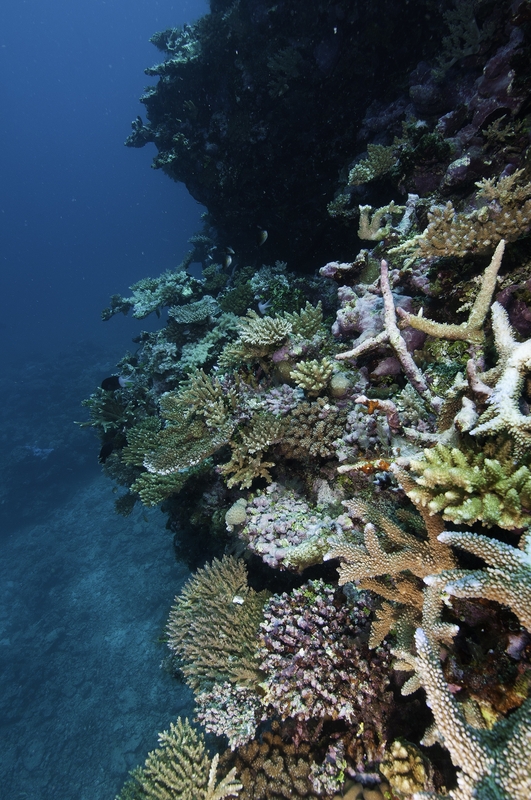 Amongst the many new species discovered included a collection of about 300 species of “soft corals” (or octocorals), of which the majority are thought to be new to science. This aerial photograph of Hardy Reef shows the reef flat (top left), the patched back reef area (centre) and the lagoon (foreground ). Image from “The Great Barrier Reef: A Queensland Museum Discovery Guide”. We also discovered around 8,000 different species of marine creatures, mapped their distributions along the 2,300 km length of the GBR and recorded and measured various things about their physical environment. Amongst the inventory of species there were over 1,200 species of marine sponges differentiated. Of the 100 most prevalent of these sponge species discovered, three of the top five were new to science, and the majority of the 100 species are thought to be new as well. Adding to the complexity of understanding the GBR’s diversity is the concept of hyper-diversity. Theoretically, half of all species on this planet live in an intimate association with another species, ranging from symbiotic, commensal to parasitic relationships. While they may not visually contribute to the extraordinary beauty of the reef, commensals and parasites exert a powerful force which can dictate life or death of the host species; this hyper-diversity is one of the driving forces in determining the dynamic balances on the reef. While our painstaking exploration of the oceans will patiently uncover countless more new species, the world is undergoing huge, rapid changes such that many – perhaps even most – of these unknown species may become extinct before they are ever discovered to have existed. Why does this matter, why do we want to find out how many species there are, and what’s the benefit of preserving genetic diversity? The reasons are simple, but unfortunately the solutions are highly complex. 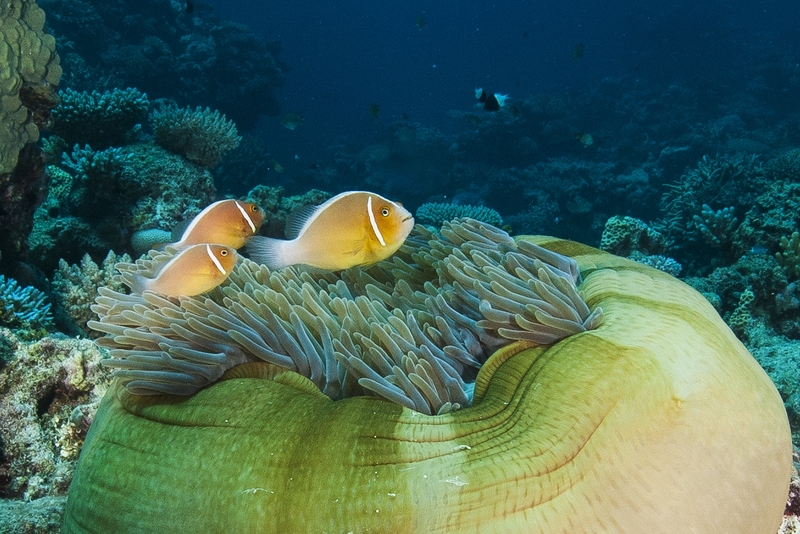 A family of Pink Anemonefish (Amphiprion perideraion) with their host anemone (Heteractis magnifica). Image from “The Great Barrier Reef: A Queensland Museum Discovery Guide”. Species provide “ecosystem services”, such as purifying the air we breathe, the water we drink, recycling nutrients to produce the food we eat, as well as sources of medical compounds we need for new drugs to combat the rise of multi resistant organisms (MROs) causing diseases. Lizard Island, Day Reef. Image from “The Great Barrier Reef: A Queensland Museum Discovery Guide”. Maintaining high genetic diversity amongst populations of species also provides options for the survival of the species themselves, as does maintaining high genetic diversity amongst species in ecosystems. Genetic diversity can absorb some of the effects of rapid shifts in environmental conditions where otherwise poor diversity may lead to ecosystem extinctions. In short, the more we know about species the better we can monitor and manage the ecosystems. 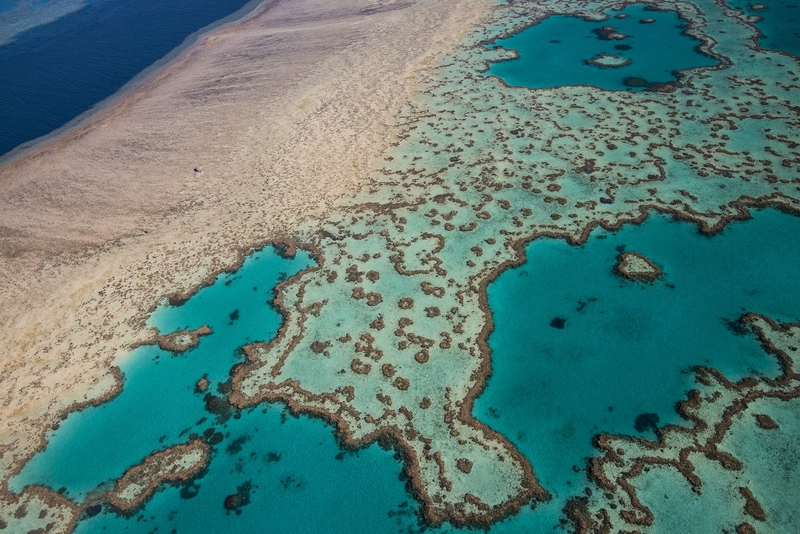 Editor’s Note: Dr Hooper is speaking about the future of the Great Barrier Reef at a free event at the Queensland University of Technology on Saturday 26 October, 2013. For more information and to register, please visit: https://cafescientifiquequtmarine.eventbrite.com.au/. The images are from the recent Queensland Museum publication, “The Great Barrier Reef: A Queensland Museum Discovery Guide“.